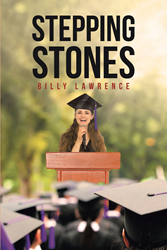 “Stepping Stones” from Christian Faith Publishing author Billy Lawrence is an essential account that tackles lessons that present to students and graduates the tools to endure in life. “Stepping Stones”: a potent read on the significance of moving forward in life with grace and virtue. “Stepping Stones” is the creation of published author, Billy Lawrence, a minister for fifty-five years, has been with Eureka Church of Christ for thirty-four years and is an endearing husband. Published by Christian Faith Publishing, Billy Lawrence’s new book provides the idea of having a Christian-based foundation in dealing with the pressures that come along the way. Taking heed from the Word of God, Billy Lawrence’s book showcases a sermon-like narrative with the goal of imparting values to students and graduates that will help them face their personal stepping stones toward a fruitful, blessed, and purposeful life. View a synopsis of “Stepping Stones” on YouTube. Consumers can purchase “Stepping Stones” at traditional brick & mortar bookstores, or online at Amazon.com, Apple iTunes store, or Barnes and Noble. For additional information or inquiries about “Stepping Stones”, contact the Christian Faith Publishing media department at 866-554-0919.